Mullin discovered the Cirrus Linear LED lights in the red cedar wood ceiling at Dwell on Design in Los Angeles in 2015. 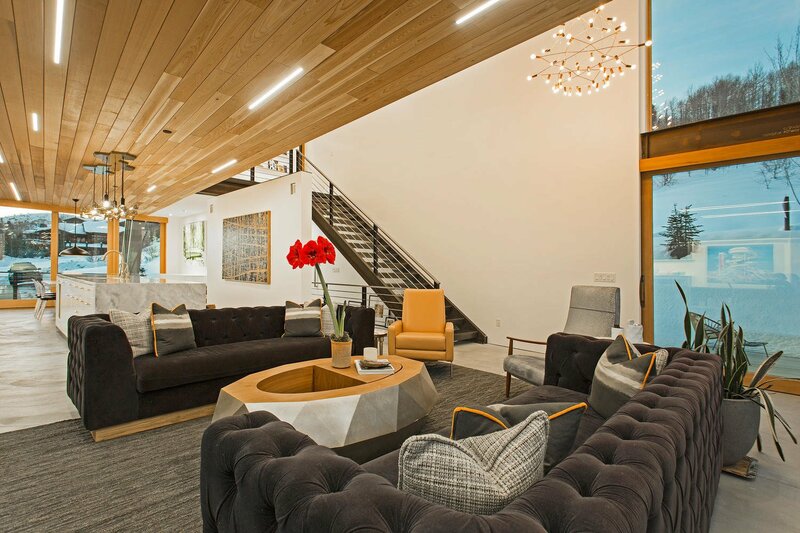 Cold-rolled steel stairs lead to the upper level and add a touch of industrialism to the space. Adjacent to the living room is a large outdoor balcony, accessible through disappearing sliding glass doors.